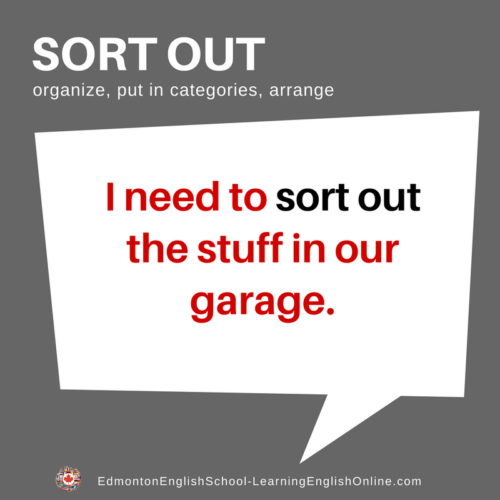 What is the meaning of SORT OUT? 1. My schedule is too full of extra appointments. I need to sort them all out. 2. There has been a lot of new information. I need some time to sort out my thoughts. 3. I am going to sort out the stuff in our garage this weekend.